Restaurant: Eleven Madison Park / New York Executive Chef: Daniel Humm Dinner service in the kitchen of EMP, New York. 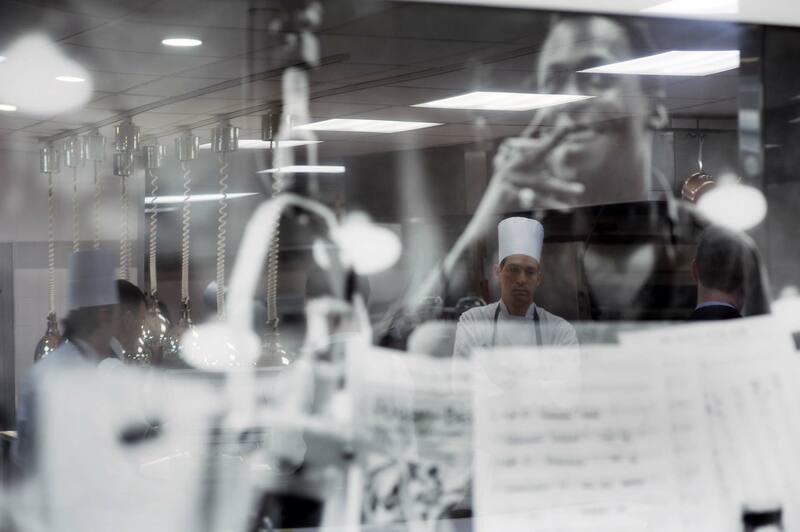 Sous chefs are reflected in the image of jazz legend Miles Davis, which is hanging in different spots in the kitchen. Besides 'Make it Nice', Daniel Humm has implemented the following 10 guidelines for his staff: Cool, Endless Reinvention, Inspired, Forward Moving, Fresh, Collaborative, Spontaneous, Vibrant, Adventurous, Light, Innovative. Sort of like Jazz!